Elements In Astrology - What Do they Represent? What Do the Astrology’s Elements Means & Represent? Some people tend to say that establishing certain characteristics based on a single birth month is quite unlikely – but the facts are that all the astrological signs are part of a specific category that presents the general and undeniable characteristics of each of the four types of astrological signs. First of all, which are these four categories? 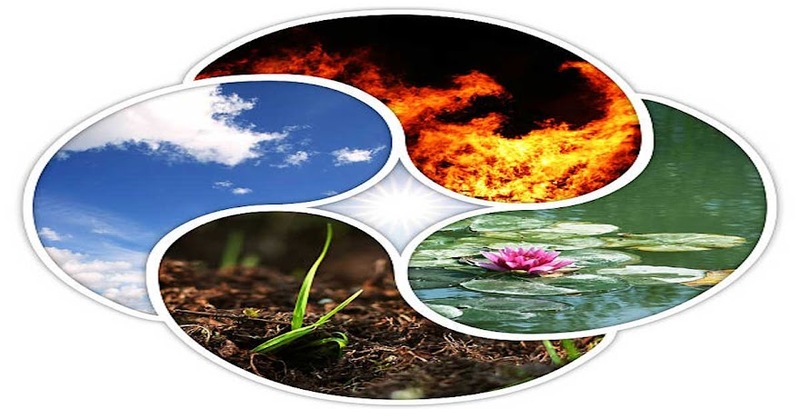 These categories actually represent the vital elements: fire, air, water and earth and each gather three different signs. There is not much to speculate when thinking about these elements and about the signs they represents. First of all, the symbolic value and meaning of each of these elements is relevant enough in order to establish the general particularities of the signs that it represents. What can fire mean? What can fire represent? Fire is, undoubtedly, powerful, strong and overwhelming. If we can translate these characteristics of the fire, into human features, they could be exuberance, determination and energy. If we go further, we could say that Leos, Sagittarius and Aries are active, enthusiastic, intense, they shine, they glow (or want to glow), they are unstoppable and dynamic, just as fire itself. How is water, what does it represent? Some astrologists say that the water signs might be considered the opposites of the fire signs. Actually, fire and water are opposed elements. The water signs include Scorpio, Pisces and Cancer, which are all represented by the symbolic features if the water. Astrologists say that, from an astrological point of view, water is deep, a deepness that can be translated with a deep emotionality and sensitivity. Water is pure, intimate, it hides secrets, treasures (that need to be discovered), it can be quite lonely and vulnerable, it is fragile and defensive, and so are the signs that this element represents: full of sensitivity, with an intense emotional life and with acute senses and feelings. How can air be described? Air is another vital element that has an incredible relevance from an astrological point of view. As fluctuant, ever-changing, and abstract – and so are the Gemini, Libra and Aquarius. They are permanently in search of something, be it the case of intellectual stimulation, people, specializing, communication, friends, relations and other as such. They are curious, open, talkative, yet distant and quite impersonal in emotional matters – after all, the air and the wind can be very cold. How About Earth, What does it mean? Earth is the most material element of all. We can’t touch fire, we can’t hold air and water can slip away quite easily. But we can actual hold earth, a fact which means, from an astrological point of view, that the earth signs, Taurus, Virgo and Capricorn are focused more on the practical and material aspects of life than on the emotional and spiritual ones. Earth is palpable, it is real and safe and so are they. With acute functional senses and with a practical attitude, the earth signs are orientated towards safety, security and material solidness. Sure, not all of us believe in the daily horoscopes we read in daily newspapers – which also happen to include very different, if not opposite predictions from one paper to another – but these vital elements sustain some undeniable astrology-related facts that are, as common as it might sound, written in the stars.